The talks over Iran’s nuclear program were a reminder of how big the gap is between and Tehran and the West. The recently concluded negotiations between Iran and the world powers, the so-called P5+1, is perhaps the first serious attempt at resolving the Iranian nuclear impasse since the 2009 botched negotiations. Both sides entered the talks with a strong sense of optimism, thinking maybe this time things would be different. However, to everyone’s disappointment, the talks ended with a last-ditch agreement simply to hold more talks in the near future. In short, there was no major breakthrough, as parties really began to realize the true depth of their differences. Ahead of the Baghdad talks, the Iranians campaigned heavily to prepare their domestic constituency for an eventual deal with the West, while intensifying bilateral talks with the International Atomic Energy Agency in order to craft a framework agreement for a more rigorous inspection regime. Moreover, the Iranians, unlike before, significantly narrowed the scope of negotiations by no longer venturing into vague and general topics such as world peace, dialogue of civilizations, and terrorism. Clearly, this time, Tehran showed much more interest in clarifying outstanding questions as to the real nature of its nuclear program. Meanwhile, the West also toned down its approach by not only rhetorically welcoming Iran’s increased cooperation, but also considering a package of benefits in exchange for greater transparency and freezing of uranium enrichment at the Natanz and Fordow plants. The carrots on the table reportedly ranged from provision of medical isotopes and spare parts for civilian aircraft to nuclear safety cooperation and, most importantly, accepting Iran’s right to enrich uranium at around 3.5 percent to 5 percent, in accordance with the provisions of the NPT. Both sides shared a deep sense of urgency over the need to revitalize negotiations, precisely because they have a common desire to push back calls for any kind of military intervention. However, it was ultimately the profound asymmetry in expectations and negotiating positions that undermined the Baghdad talks. As I have argued previously, ahead of the negotiations, unless both parties can made certain adjustments in their approach, the Baghdad talks didn’t hold much promise for a breakthrough. Coming into the Baghdad talks, Iran’s primary interest was to head off further sanctions. This is precisely why Iran, during IAEA chief Yukiya Amano’s visit, agreed in principle to grant access to the Parchin military complex – a site last visited by the IAEA back in 2005. For Tehran, given its high oil-income dependency, reversing (pending and ongoing) unilateral sanctions and holding off an upcoming E.U. oil embargo is a core national interest. Already, Iran’s output is currently at its lowest level in almost two decades, according to Vienna-based JBC Energy GmbH. Despite some significant upsurge in Chinese imports, Iran’s total exports might have been reduced by almost 30 percent. However, after the implementation of the E.U. embargo, the International Energy Agency expects Iran’s oil output to drop by as much as between 800,000 and 1 million barrels a day. That means that compared with the previous year, Iran’s total exports could fall by more than 50 percent in coming months. Already, Iran is providing sovereign insurance, barter deals, flexible payment arrangement, and significant discounts to keep its Asian customers interested. With the E.U. sanctions extending to the insurance sector, Iran’s non-Western costumers are finding it very difficult to sustain their Iran crude imports. While India and Japan have been reducing their dependency on Iranian oil, South Korea, Iran’s fourth largest Asian customer, is set to halt all its imports from Iran from July 1 of this year. Moreover, the G-8 leaders have even suggested further utilizing their strategic oil reserves to weaken Iran’s influence over global energy markets. The government is already feeling the pinch. For instance, even populist Iranian President Mahmoud Ahmadinejad – known for his generally expansionist monetary and fiscal policies – was forced to substantially cut his proposed budget for the upcoming fiscal year, which amounts to $410 billion as compared with $484 billion in the preceding year. 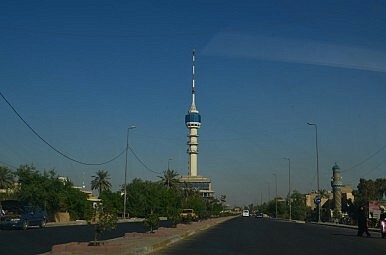 For the West, officials came to the Baghdad talks with a different set of expectations and a divergent interpretation of the “step-by-step approach.” They sought an immediate freeze on Iran’s 20 percent enrichment and unimpeded access to all of Iran’s relevant sites to kick-off any sort of confidence-building measure. Only then would the West be willing to discuss some carrots. Crucially, there was reportedly no willingness to make any concession with regards to the punitive sanctions, both pending and existing. For the West, the sanctions aren’t only a matter of law, beyond political negotiation, but also the West’s main leverage over Iran. In this sense, the talks really held little promise to begin with. Further undermining the atmosphere of the talks, the American representatives by some accounts backpedalled from their position in regard to Iran’s right to enrichment at lower levels, after the U.S. Senate passed a new bill to further tighten the screws on Iran’s economy – prompting the Iranian representatives to also drag their feet on the enrichment cap issue. The only thing that saved the talks from collapsing was a last-minute intervention, primarily by Russia and China, to hold another round of talks in Moscow. Still, it remains to be seen how the two sides will agree on an accord that will simultaneously accommodate Iran’s urgent need to reverse sanctions and gain reliable access to medical isotopes, on one hand, and the West’s demand for Iran’s greater transparency and immediate freeze on high-level enrichment. The clock is ticking fast.